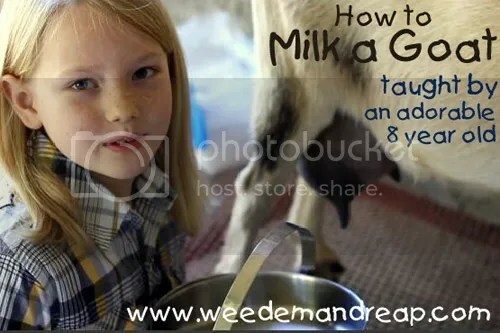 Shouldn’t everybody know how to milk a goat. Photo via Weed em and Reap. “Once upon a time there was a woman who bought a goat. She was so excited to get FRESH milk every day! She woke up early one morning, and with butterflies in her stomach she put her goat on the milking stand, poured some grain in the feeder, and started to tug. Nothing. ”Hmmmm”, the woman thought. She tugged and tugged. Looking at this new ad campaign from the Dairy Farmers of Canada it’s hard not to imagine that they’re including raw milk as one of the options people might choose. A couple of example ads from the new campaign. Click image above to see more at the Ad-ict blog. “Two powerful dairy organizations, The International Dairy Foods Association (IDFA) and the National Milk Producers Federation (NMPF), are petitioning the Food and Drug Administration to allow aspartame and other artificial sweeteners to be added to milk and other dairy products without a label. 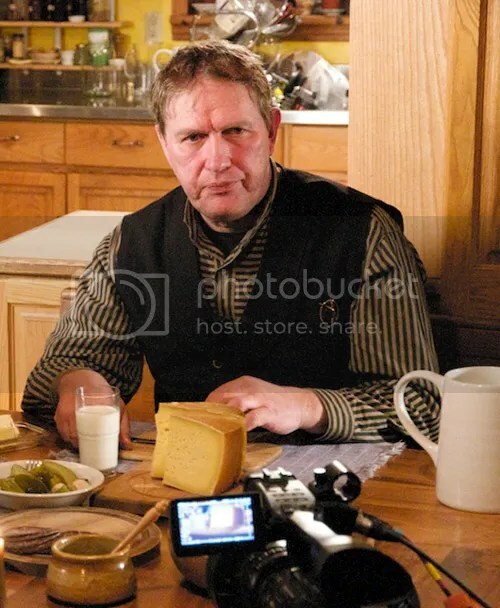 Michael Schmidt, in his kitchen, getting ready for an interview with documentary filmmakers, two years ago, in January 2010 on the eve of his acquittal on raw milk charges. The Province has since appealed that acquittal and, as a result, Michael has been convicted and fined on charges related to raw milk distribution. Last year a judge granted permission for Michael to appeal that conviction. 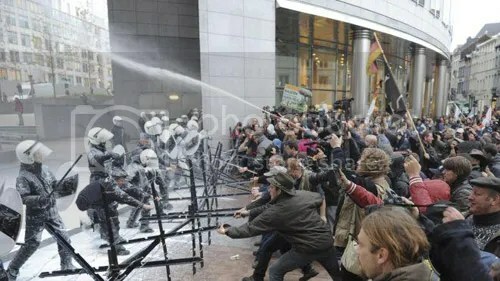 Farmers spray milk at riot police in Brussels, pic via Fox News.